Whether you’re single or starting a family, people who want to live close to downtown find Cherrywood homes to be some of the most ardently-sought homes in the Austin area. 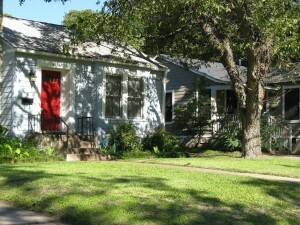 Located near downtown Austin, the Cherrywood neighborhood is a dynamically diverse population. Primarily encompassing the 78722 zip code, the boundaries are Manor Road, IH 35, Airport Boulevard, and Scheiffer Avenue and the community is directly northeast of the University of Texas at Austin and across IH 35. Although the area is commonly referred to as French Place, the neighborhood is actually a combination of numerous smaller subdivisions… Avalon, University Park, Scheiffer, Dancy, Giles Place and Delwood, et. al. which combine to form the larger Cherrywood. The area takes it name from the primary road that travels through the middle of the community and brings to mind the beautiful shaded streets and quaint bungalows of years past. 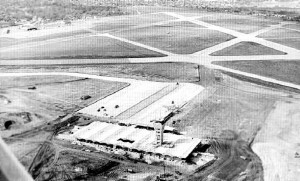 While Cherrywood was once a collection of farm houses, cotton fields, peach orchards and dairy farms, development came in the 1930’s with the construction of Mueller Airport. J. H. French, a developer from New Orleans, began building French Place, two bedroom bungalows just north of Manor Road, and other development soon followed. It was after World War II that growth really took off when Bascomb Giles began building homes for the returning veterans. Giles Place and Delwood both reflect his assembly-line construction techniques of ranch style, cinder block homes with stucco exteriors and casement windows. Austinites began to take notice of the quiet tree-lined community in the 1980s when Mueller Airport was moved to the former Bergstrom Air Force Base and Mueller development began. Most of the homes in Cherrywood were constructed from 1930 to 1960. The earlier homes reflect the wood framed bungalows popular with first time buyers and retirees, while the later built homes are larger ranch homes with brick exterior. The homes of J.H. 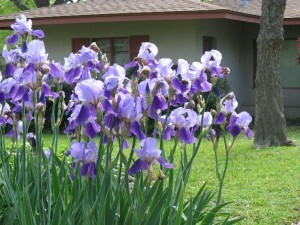 French are a variety of hip-roofed and salt box designs with hardwood floors and charming porches. Homes in the Schieffer area are typically larger and incorporate local limestone or rock with large windows and are situated on spacious lots while the historical Giles area homes are usually two bedroom, slab built homes with stucco exterior and charming fireplaces. Although many homes were built to have between 900 and 1500 square feet of living space, the popularity of the area has caused many owners to expand their homes and upgrade the properties within the historical context. Close proximity to downtown and the University of Texas has made Cherrywood a great community with many quality-of-life options. Restaurants flourish along Manor Road drawing patrons from all over the city. Popular establishments include Vivo, Thunderbird Coffee Shop, East Side Cafe, Red House Pizza, Mi Madres, Hoover’s Dining, El Chile and El Chilito. The acclaimed Vortex Theater is nestled between shops and offers a contemporary theater experience. Patterson Park, located in the northeast section of the neighborhood includes a community swimming pool, walking trails, skate board ramp, and Pharr Tennis Center. Other neighborhood green spaces include Willowbrook Reach and Cherrywood Green where neighbors meet for community functions such as the semi-annual book and plant swap or Neighborhood Night Out in September. 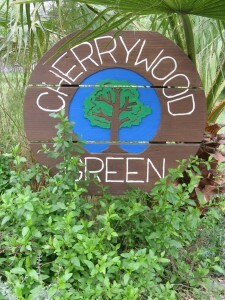 All in all, you’ll find Cherrywood to be an active and involved community and a great place to call home!